Discussion in 'General Knife Discussion' started by Ashleyx3, Mar 26, 2017. These are two acclaimed EDC knives, obviously. Delica. It defines what a knife is meant to be. prefer the grips thicker scales, makes for better gripping, but thats all i prefer on the mini grip over the delica. Mini Grip for me. 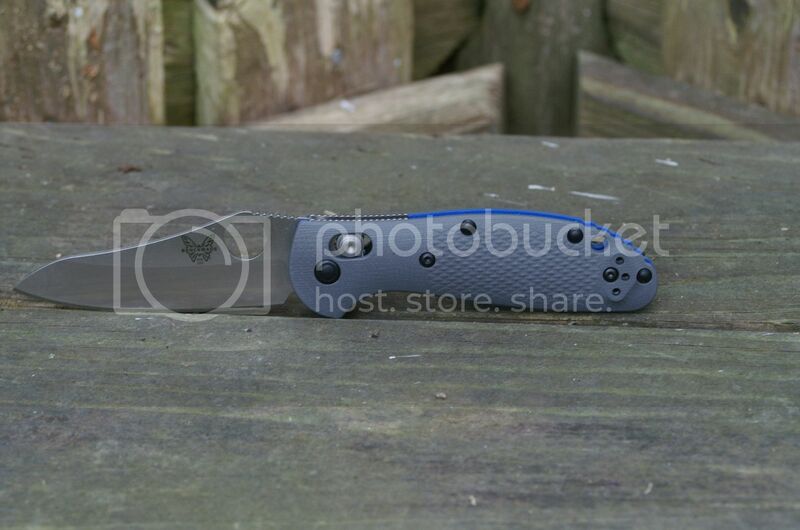 I like how the Mini Grip feels in my hand, the G-10 scales, and the blade steel. I think I'll just end up buying both. Feels a lot better in hand. Really like the axis lock and hate back locks. Delica is way too wide in pocket. Don't like the Delica pocket clip. Benchmade sent free deep carry clip I like on the Mini Grip. Can send in the Mini Grip for maintenance or sharpening free for the entire life of the knife. Mini Grip is backed by a warranty I trust. Having said all that I own essentially both. I have a Mini Grip for alternate EDC use and a Salt I (basically a Delica but with H1 steel) for beach and kayaking. 556 vs delica, then I like delica better. 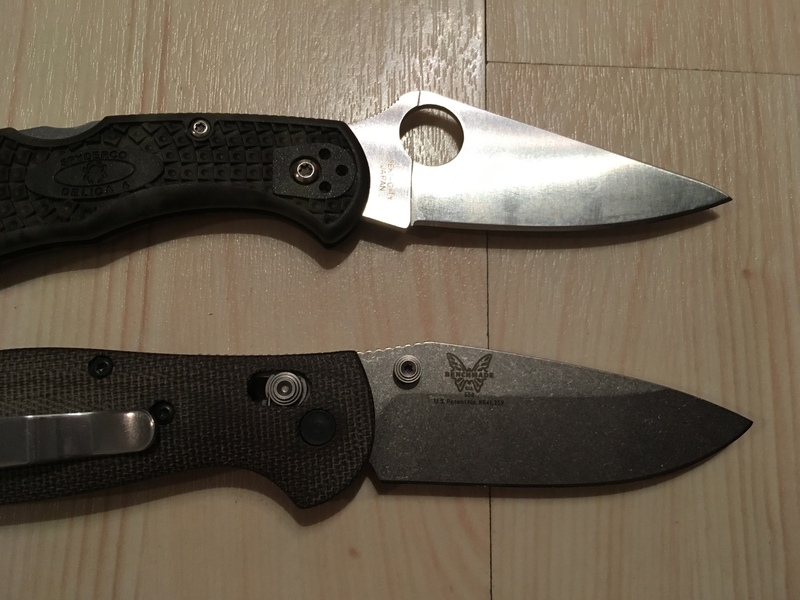 555 vs. delica, then I"ll take 555 any time. For my urban use, I found 555 is a perfect blend of MG and Delica. If I can carry larger than mini/delica, I would take FFG Endura without thinking twice. IMHO, endura is the best $ for $ knife in the market. I'll grab an Endura soon. ^This for me as well. The more I use an axis lock the more I like it. YMMV. I usually carry a mini-grip with a dragonfly and/or small fixed blade for EDC. I prefer the mini Grip. The 555-1 is an amazing EDC. That said, it does cost about two and a half times what the Delica 4 goes for, and the Delica is a great EDC in its own right. Delica hands down. 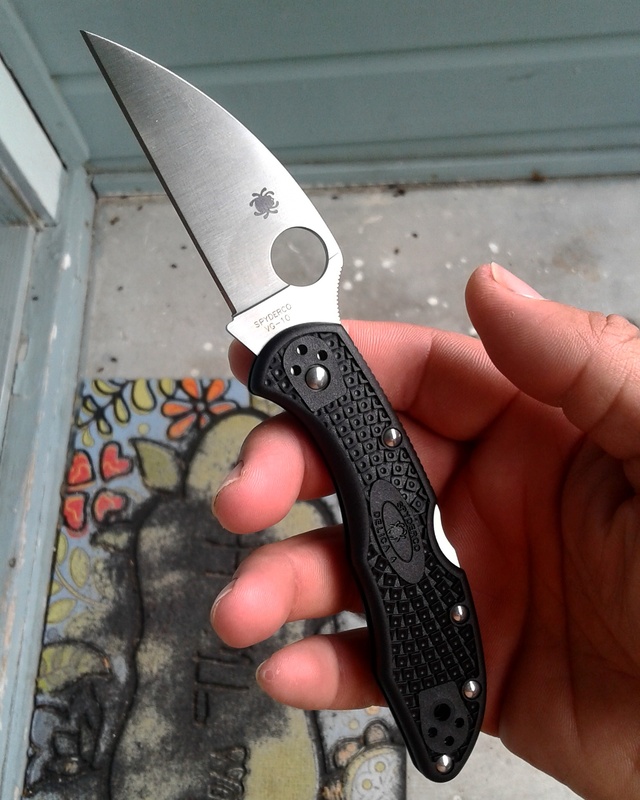 But still for less than the cost of a grip a Spyderco Native 5 Lightweight can be had. Another vote for the Delica. It's just a great all-around knife. I prefer the mini grip...specifically the 555. The 555 has the spyderco hole. Is a stronger knife and even has a G10 version. Matter of fact, I am now thinking about buying another one due to this thread. This place is a bad place to visit. Here is my Mini Grip. Yeah, you WILL end up with both.